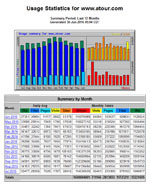 • the server has monthly expenses, similar to any company or organization having an Internet presence. Due to our increasing website growth and bandwidth usage (amount of information viewed by Internet visitors), the server is now financed primarily by partners, sponsors, business affiliations and individual donations. We are a volunteer-based organization. The people developing the website(s) are Assyrian activists, artists, authors, engineers, journalists, writers, scholars and students, and their scope of work and participation varies according to their professional experience and skill levels. There are also English-speaking scholars who write, translate and forward articles. We are volunteers and devote our time to bring tangible results for our communities. Please support Assyrian activists and friends of Assyrians. Assyrian Forums Make a difference, collaborate and share information! Register and share your activism in the Assyrian Forums. Are you part of an active Assyrian organization or business? Sponsorship — short-term advertising of your business or organization in this server project. Partnership — long-term advertising of your business or organization and investing in this server project. Are you interested in sharing your knowledge with fellow Assyrians?